Most Long Hair Needs More Effort. Here's a Helping hand. Please choose any of videos from below and the player will pop up in a small window, all the usual controls will be available once you have clicked on the play button. An innovative yet quick and practical crossover pony from Sam Villa starts us off. 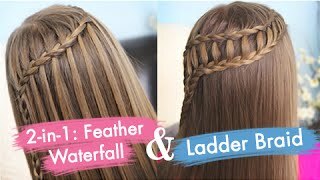 Next up is an in-depth tutorial on the waterfall braid and a derivative. 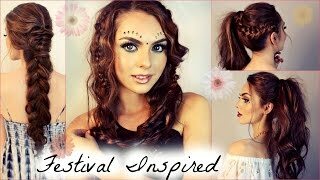 Thirdly a collection of three styles on the festival theme but would work just as well at parties or another event. 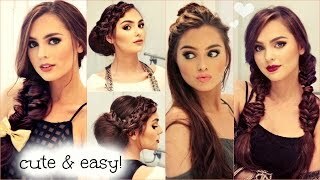 Designs that need no heat are central to several of the other videos, so lots of braids and updos. Everybody loves long wavy swirls, so what about getting them without heat? Curls without potential damage? A long haired girls utopia. 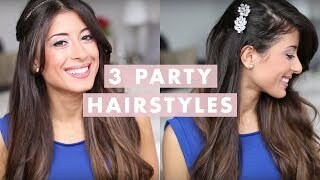 In the fifth video, watch simple ideas evolve from a base of straight tresses. Fifteen different finishes accomplished in minutes from a simple starting point. Holiday season party anyone? Of course, you do. Mimi talks you through three for celebrations throughout the year in number six. On to a handful of easy 5-minute finishes with braids, buns, and knots that should be a breeze for even the clumsiest of novices. If that sounds familiar, settle for the easy way out which in this case is the best course of action. 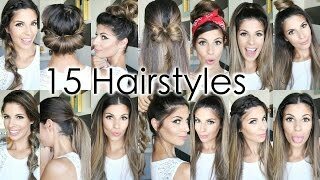 The last two are devoted to heatless methods of looking pretty. Milkmaid crown braids with wisps, a messy side bun, and more are in the penultimate tutorial. We have twisted ponies, fishtails and lace dutch braids to finish.